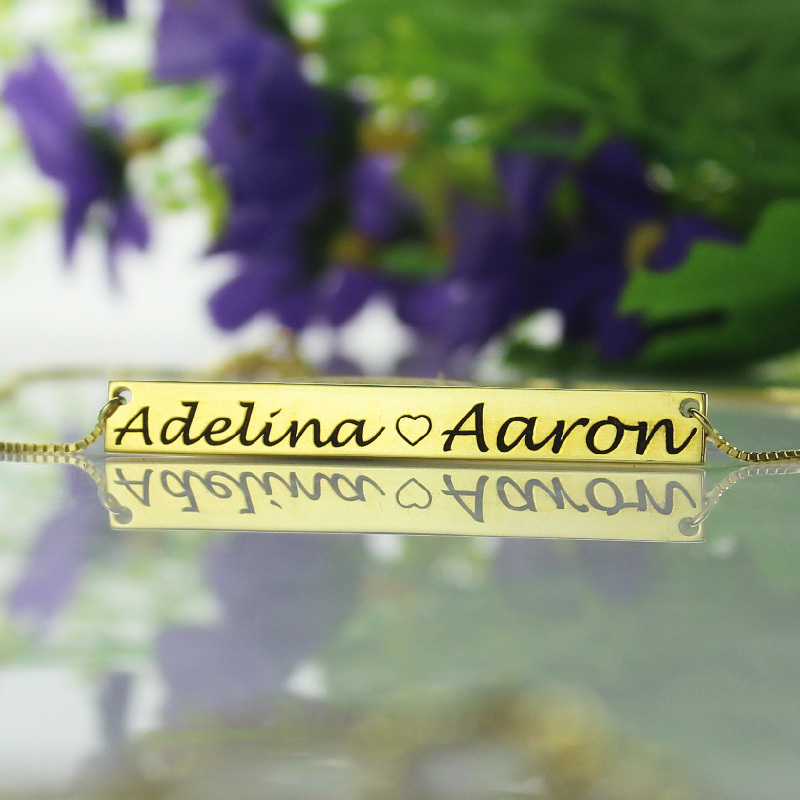 Gold Bar Necklace Engraved Double Name - A beautiful bar of 18k Gold Plated is the focus of this stunning necklace. A bar provides stability, and that’s what you provide for me. We are better together! 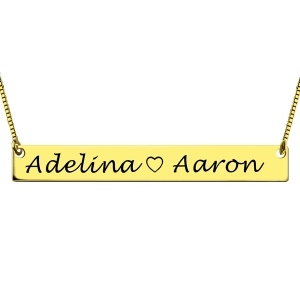 This gorgeous necklace is hand-crafted in gold plated sterling silver. Starting price is for one bezel. A classic piece that’s filled with meaning. 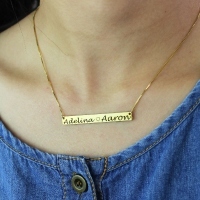 Stamped your name on this special Personalized Gold Bar Necklace to memory your love story! Great way to show everyone your sweet love. Couples necklaces are a charming way to tell the world about the one you love. You can engraved two name on this bar pendant necklace, so it is also a perfect gifts to friends too! Need help finding your necklace size? Click here!